Figure 33. 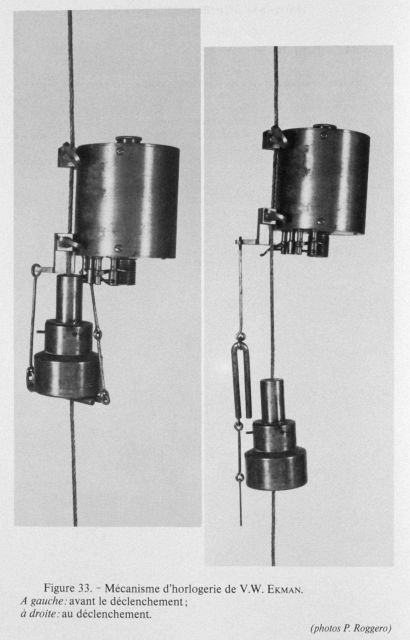 Clockwork counting device of Ekman current meter. Left: before triggering the release. Right: After triggering the release.